Rangers go out on patrol for days at a time, in the wet, the heat, the cold to battle the unknown. 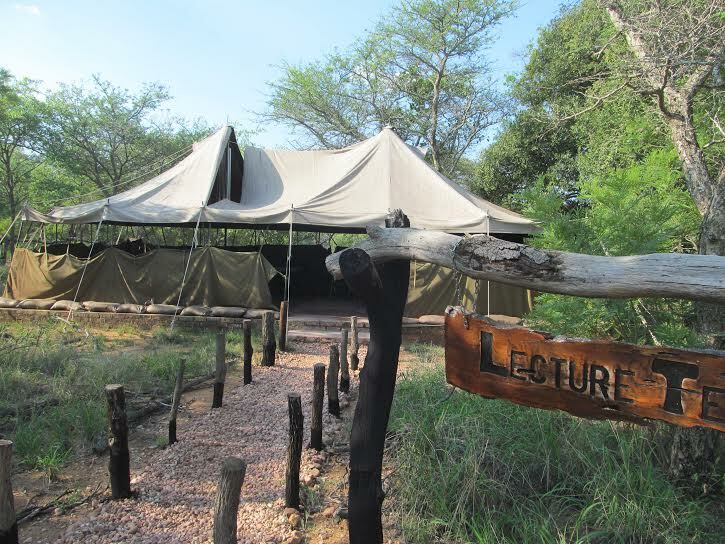 But before they head out, they gather in the lecture/mess tent; to learn, to prepare, to eat, to share fellowship. 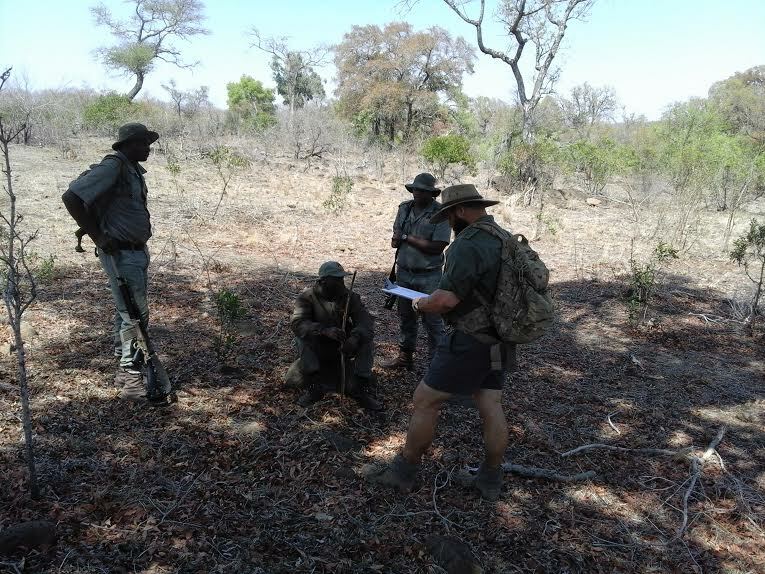 This is the scenario for our friends at NKWE, a wildlife security group training and employing rangers for nature reserves around Limpopo, and assisting SAPS in poaching investigations. 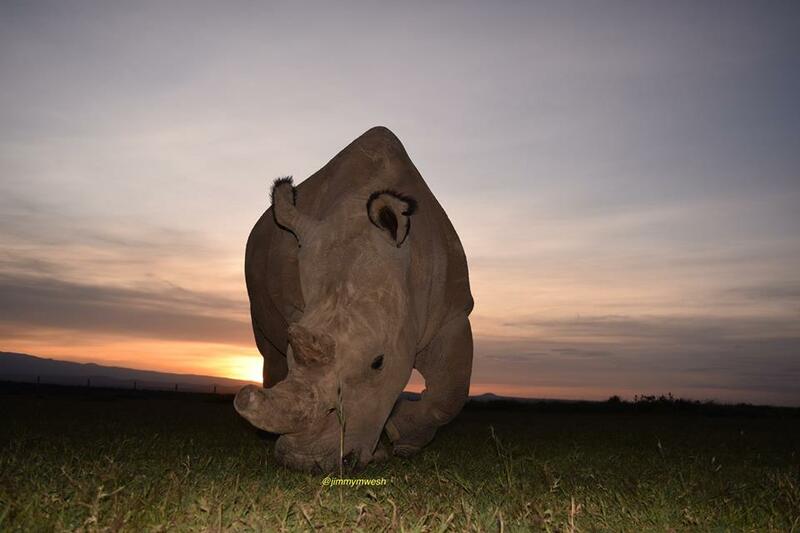 Recently their headquarters tent was torn in half by a storm, leaving them without a dry, shaded area for their gathering, a crucial part of their daily operation. In addition to being the headquarters for their rangers, they also utilize the tent to assist the local community preparing food during community events; an important part of building relationships and trust with the locals. 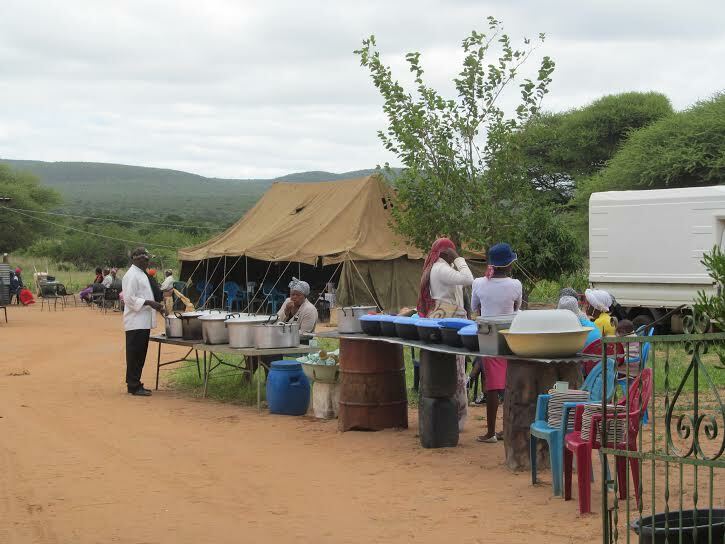 NKWE provided dinner for the local community after a funeral. 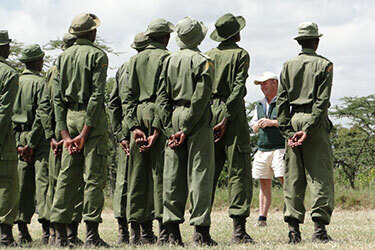 NKWE prides itself on high standards of training, with a 12 month program in place in order for rangers to reach competency. 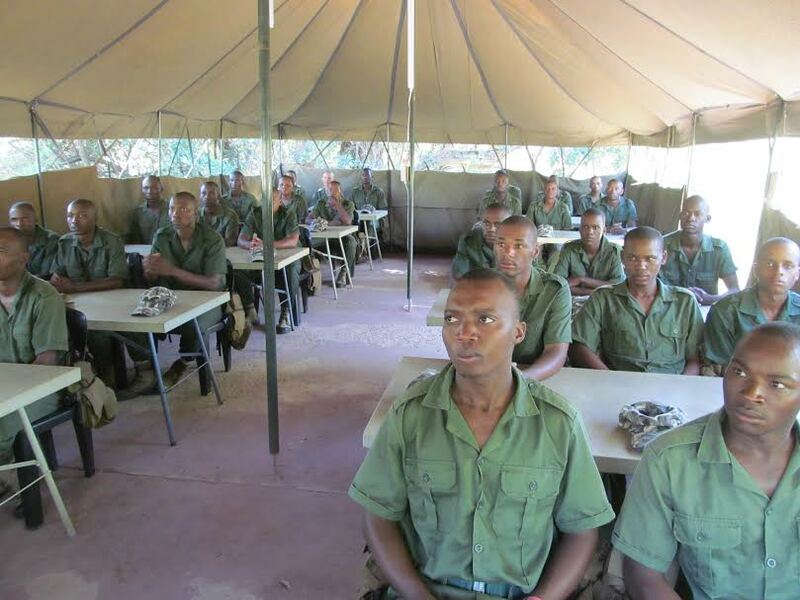 The costs for such a lengthy and in-depth training is immense, with costs of R100,000 per recruit. 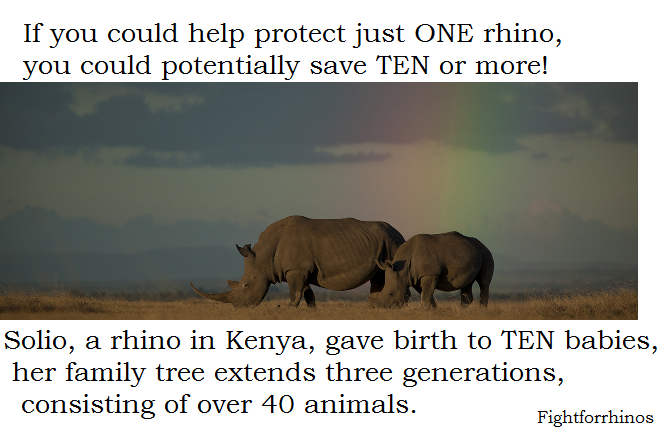 For this reason, they need our help. The tent is $971 to replace. Your donations would be immensely helpful. Please go to PayPal on our page and donate what you can. 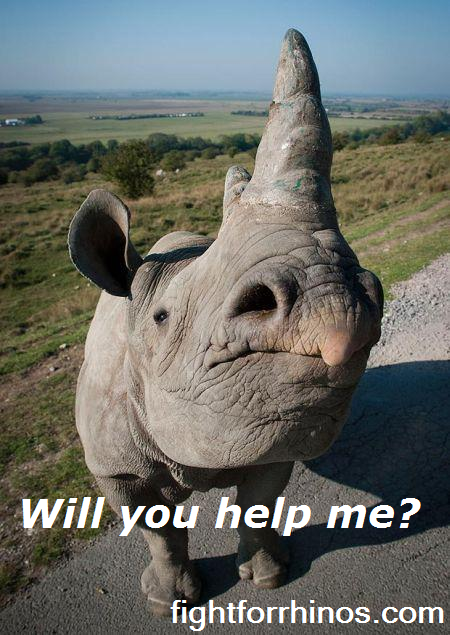 Justice for Rhinos-PLEASE do your part! 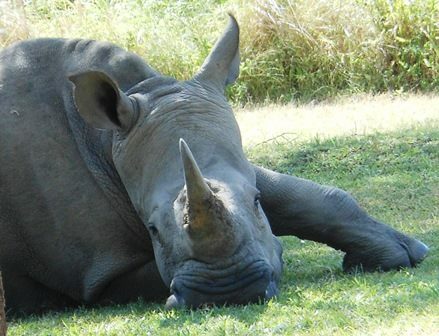 With the recent tragedy at Thula Thula Rhino Orphanage, the staff are doing their best to heal and pick up the pieces. There has been an outpouring of donations and support. Now we must be sure that justice is served. Please sign the following petition. Even the outright horror of this recent attack hasn’t effected the South African governments intent to allow trade. 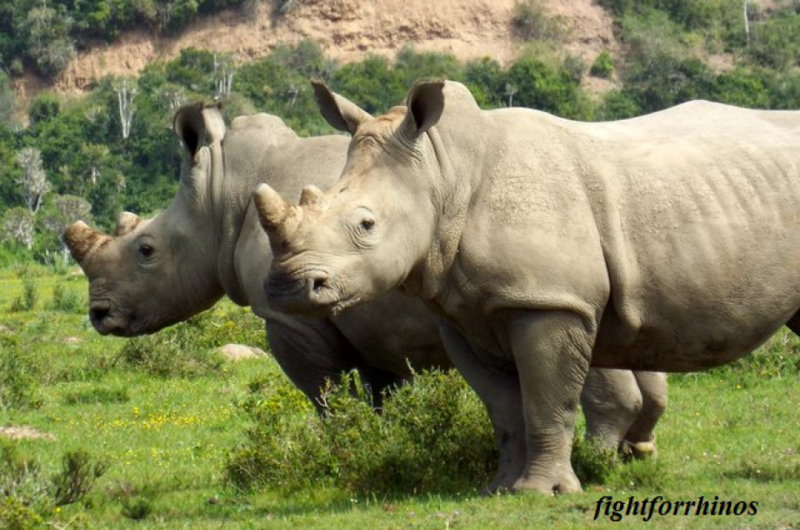 Although CITES is against it, evidence does not support it, and their so-called “legal” trade will only serve to fuel and mask the already illegal trade, Edna Molewa and the government are planning on going forward. 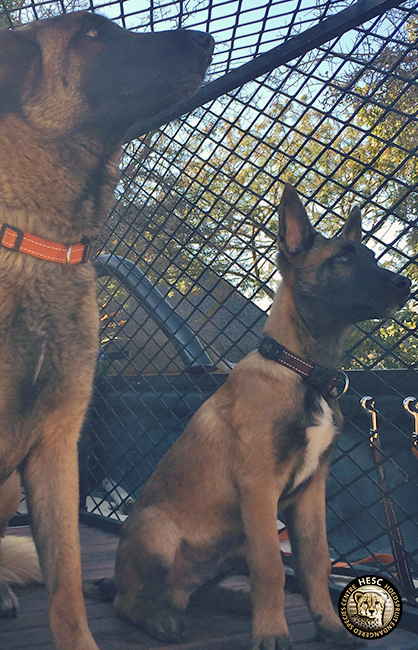 Please sign this petition from the International Humane Society and voice your concern. This MUST not go forward! Together, we must persevere in our pursuit of justice. Together, we must be the voice for the voiceless. that make my heart melt. both in crash or solitude. 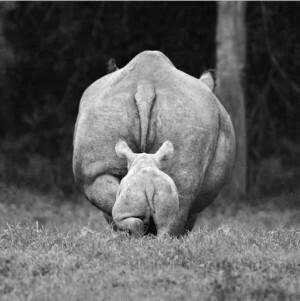 Miracle rhino gives birth (again)! First glimpses of mama and baby from Ranger Daniel @ Kariega. 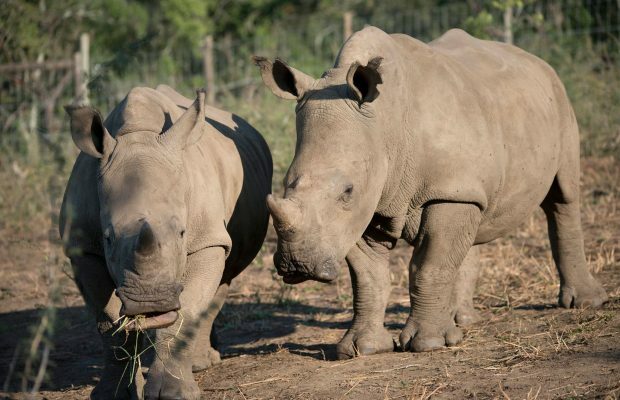 Read about Thandi’s Story and about her first baby, Thembi, It’s Official, Thandi’s a mum! 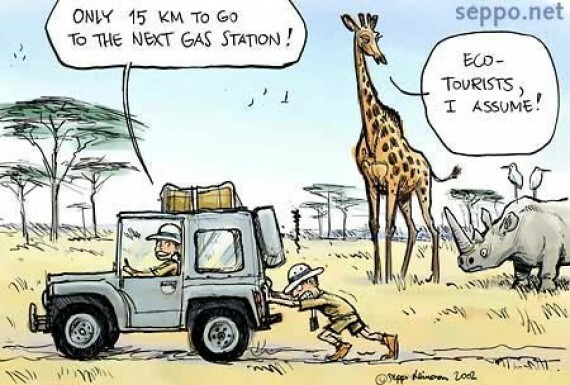 What are 8 billion tourists worth? Money talks. It’s the basis for corruption and the decimation of wildlife. 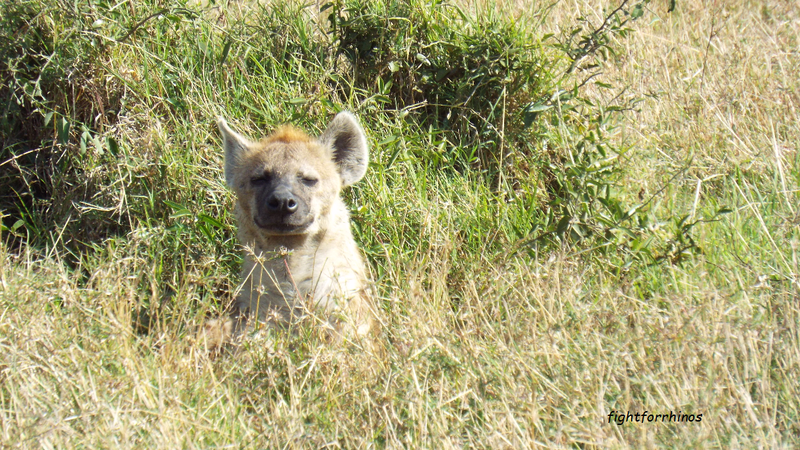 BUT it’s also paramount to protecting our animals and their wilderness. 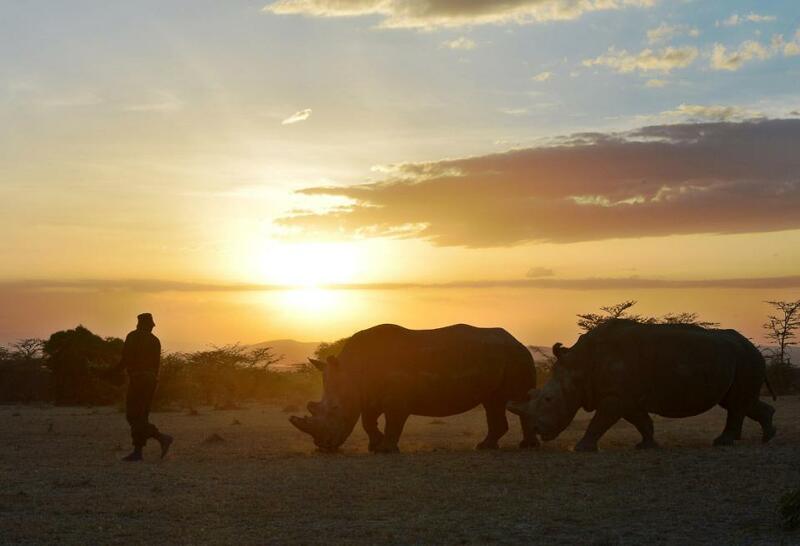 YOUR tourism dollars and YOUR choice on spending them can make a difference. Researchers then calculated how much 8 billion visits are worth and came up with $600 billion per year. Tourism stabilizes communities by providing jobs, protects the wildlife by making them the focus of these jobs, and of course provides an opportunity of a lifetime to the tourist. 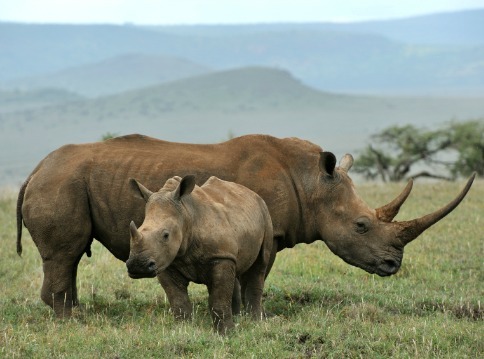 On average 2 rhinos and 96 elephants are slaughtered each day. 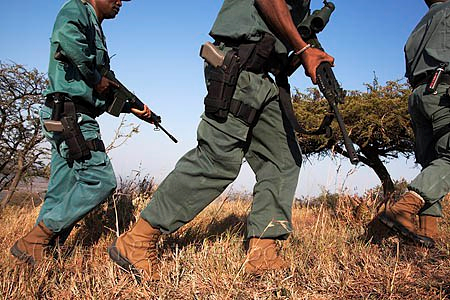 In the last ten years over 1,000 rangers have been killed. Should there be a shoot-to-kill policy? Would it help? The controversy is widely debated. But what do the rangers think? 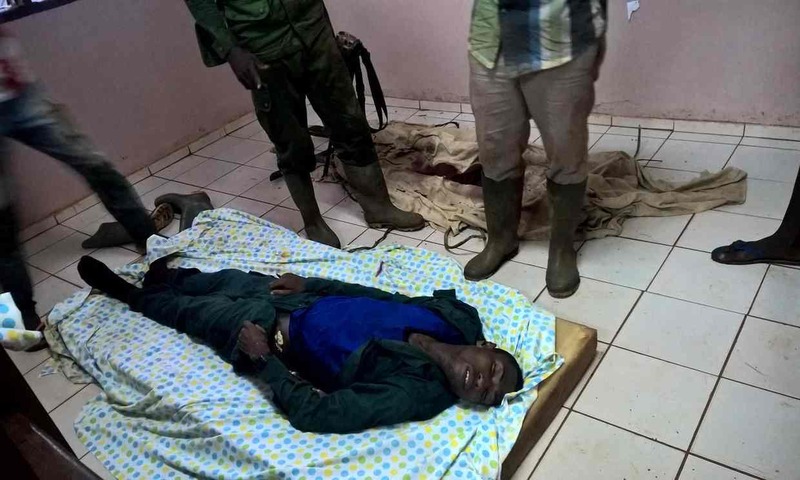 I spoke to several rangers to get their thoughts. 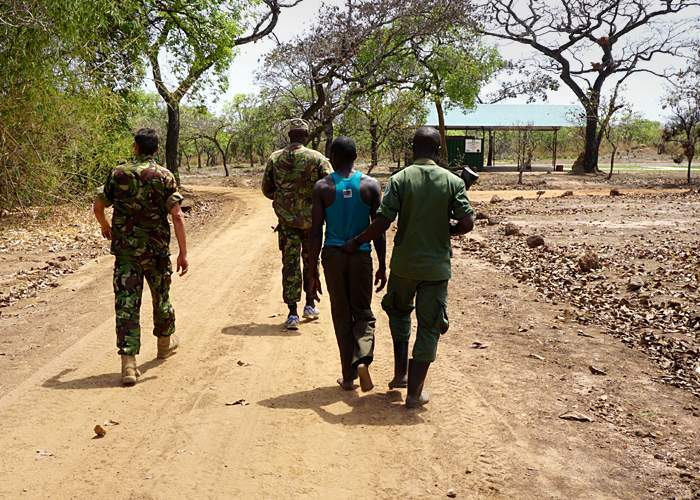 “Most of the poachers are poor locals surrounding the wildlife reserves and they see the reserves as their source of income. What is needed is to empower people near the reserves economically, pass on scheme of goats, dairy cows, sending poor children to school… they will become role models to the community and people will begin to appreciates the importance of conserving animals. 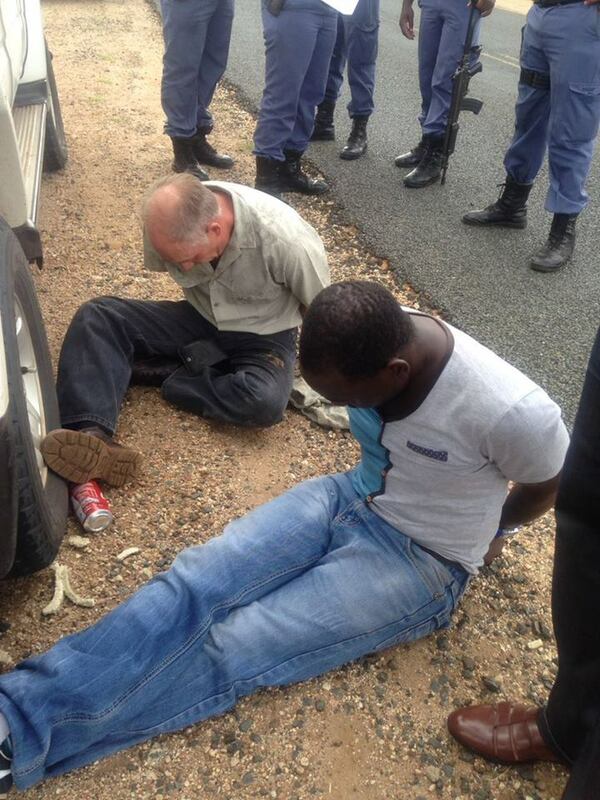 These Limpopo poachers were acquitted of rhino poaching in 2014, and just caught for rhino poaching again this month, in January. But overall most of them were in favor of the policy.